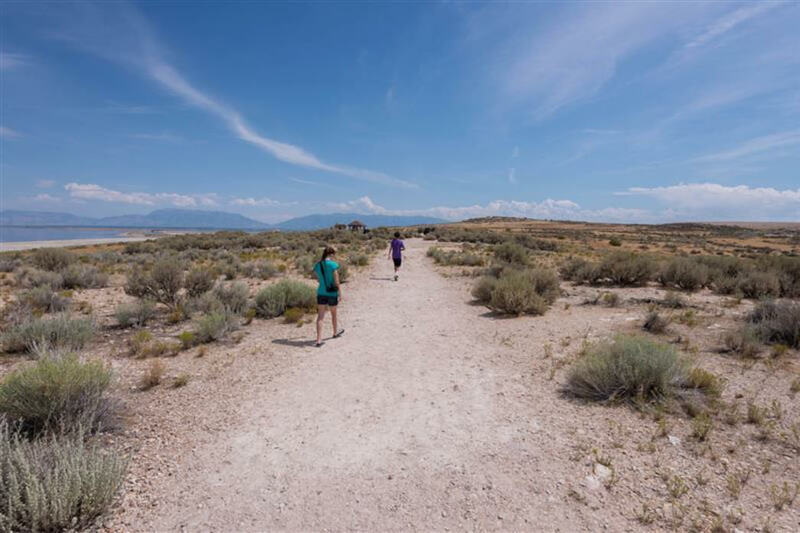 Antelope Island State Park's Buffalo Point Trail is a great place to hike and a nice destination for a day out. Antelope Island is the largest island in the Great Salt Lake, with breathtaking scenery, interesting history, and natural preservation. There are more than 18 miles of trails here - this particular trail is family friendly. 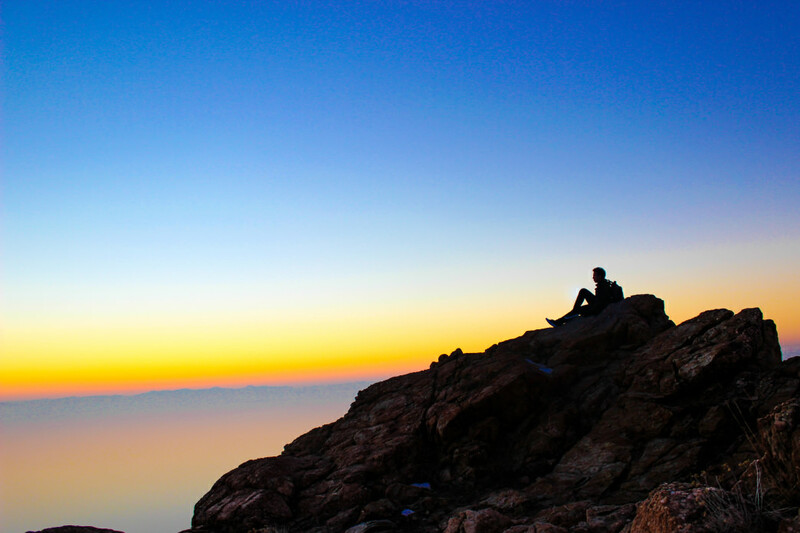 If you want a spectacular panoramic view, the ascent to Buffalo Point Trail is a great spot to snap your picture of the sunset over the Great Salt Lake. To reach the trailhead, drive along the northern loop road, heading west and then south toward the park offices. Trailhead elevation is 4520 ft and the top elevation is 4786 ft, for a total change of 300 ft. There is no clearly marked "end" of the trail, but you can turn around at any time. Or you can wander around on top of the point for a while. Sit on the rocks and feel the hugeness of the surrounding wind and water in the heart of North America's largest desert—the Great Basin. As you hike up the trail, the White Rock Bay is off to your left (west), and Bridger Bay is to the right (east). Towards White Rock Bay, you will see some flat levels, or benches, that are carved into the rocks. 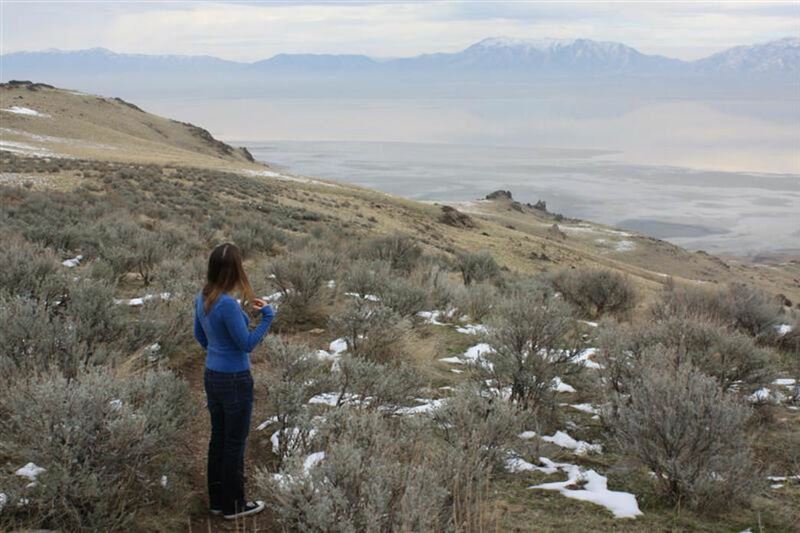 These are former high shorelines of the Great Salt Lake. The lake has been shrinking for centuries, which today is why the Great Salt Lake is highly saline. 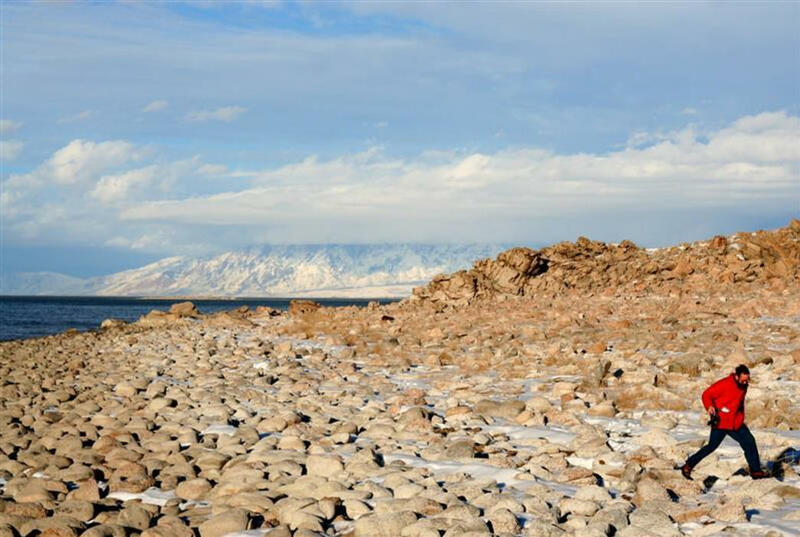 Along the Buffalo Point Trail, you can stop to examine the wave-tossed, rounded boulders and white tufa limestone deposits revealed by Lake Bonneville’s erosion along the terraces. Looking for more adventure? Try the 6-mile out and back hike to Frary's Peak. Or for a novelty, you might try the Island Buffalo Grill, on the west side of the island past the visitor center, where you can get an authentic bison burger. 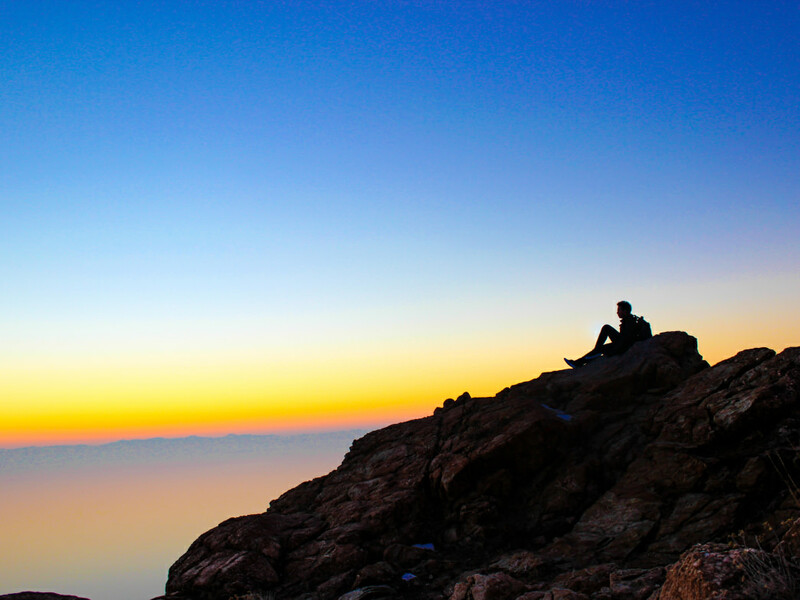 Visit Antelope Island’s website for hours and more activities to enjoy while you’re on the island. The Buffalo Point hike is a family-friendly hike, and you can turn around at any time if one of the kids gets cranky. The breathtaking views will inspire anyone with even a hint of outdoorsiness. Antelope Island is about an hour (50 miles) north of Salt Lake City. To get there, take I-15 north for about 25 miles to exit 332. From the exit, take a left onto Antelope Island Rd. You’ll arrive at the State Park in about 15 miles. The fee is $9 per day per car. The island’s other amenities include picnic shelters, boat launches, a marina, and a large visitor center that highlights the island’s history. The souvenir shop is also located inside the visitor center.